To be honest, I started to be aware of the importance of DHA when I was pregnant. My father who is a pediatrician he advised me to consumed DHA after the first trimester. Accordingly that I have started to consume DHA after my first trimester. Besides, I also searched Google for collected knowledge about Omega-3 or DHA. Before moving to the main product I want to share my little knowledge about Omega-3 which I learned from the internet during my pregnancy. The first question that comes to our mind that is what is Omega-3? Omega-3s are referred to as ‘essential’ fatty acids because our body cannot produce them, therefore they need to be consumed by our daily diet. The best source of Omega-3 is cold water fish such as; tuna, mackerel, trout, and salmon etc. Fish oil is a good source of omega-3 but many plants and nut oils are also sources of omega-3, such as canola, soybean, olive, walnut, pumpkin, perilla and flaxseed oils. It's provided by just a few plant foods but requirements are so small that it's easy to get enough. You can meet your entire needs for the day by consuming a teaspoon of flaxseed oil or a tablespoon of canola oil or 3 to 4 walnut halves. DHA and EPA are the long-chain omega-3 fats that are found in fish oils. The fish oil based Omega-3 is very widely available in the medical stories even in online sites but plant-based Omega-3 is really hard to find any medical stories or online sites. Nowadays some brands are producing plant-based Omega-3. 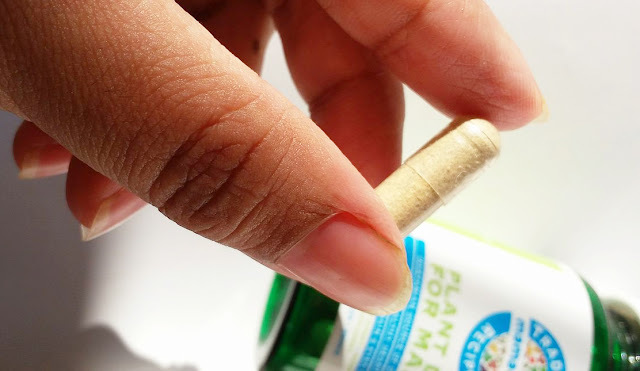 One of them is Mamaearth, who has recently launched such Plant-Based DHA in capsule form for mamas which are a great source of natural and vegetarian Omega-3 fatty acid. Mamaearth DHA supplement is a natural and vegetarian source of DHA that offers the same benefits as fish oil. It has a 100% vegetarian coating which makes it easy to get absorbed by the body and no aftertaste of fish oil. let's move on to the main product. I still breastfeed my boy and I did not see any kind of side effect. Rather it's even better he got all above benefits through breast milk. The product is really good and there is no side effect. The only thing to say that is its price. 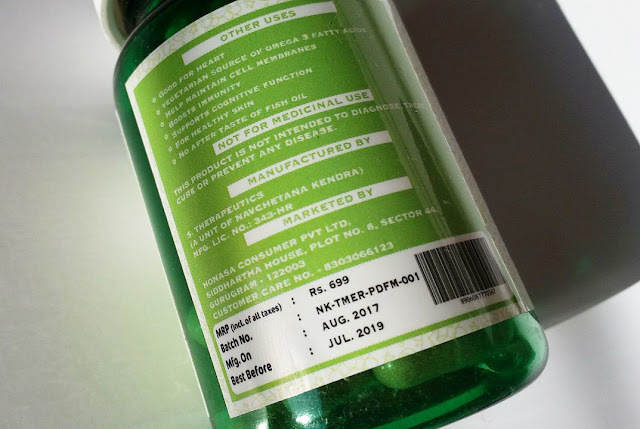 Which is a bit more expensive and ingredients are not properly mentioned in the body of the bottle. 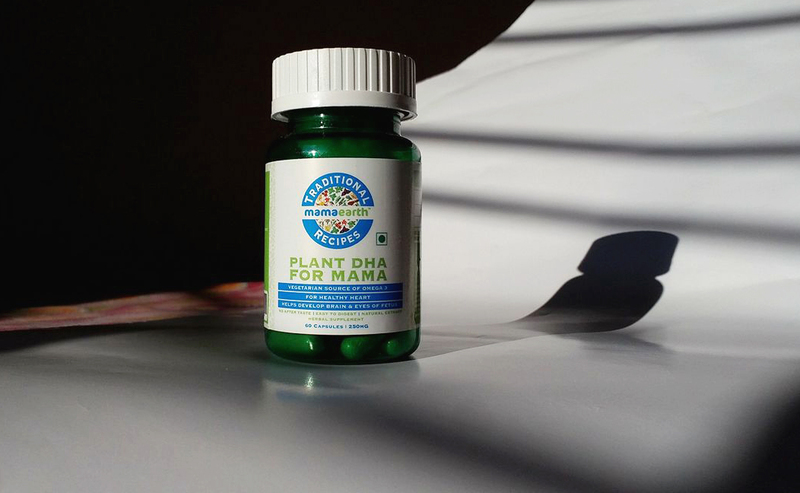 Overall, Mamaearth plant DHA is a herbal supplement for women which is 100% natural and vegetarian. This product contains no artificial color and flavor. If you’re a health-conscious and vegetarian mom then this may be the product that’ll meet your needs.